OK got a set of winter wheels. One complaint that I have is that the TTS Audi Black Optics package comes with 20" wheels which offer almost no options for all weather tires. So my dastardly plan was to get a set of wheels and tires that would be on my car for 4 months. I live in the SE USA and just dont see a need for anything more than all weather. After a week of having the wheels, I got into my car after getting out of a café and after a few blocks noticed a wobble. I look at the tire, it looked fine, then I look closer and notice 4 of the 5 lugs are out. I walked back to where my car had been parked and find 4 lug nuts there. After putting them on, I left it at Audi to have them balance and check for damage. I reached out to the reseller. They want photos and possibly the wheel to determine if there was a defect in the wheel. They will reach out to the manufacturer. Has this happened to any of you? Dear god. Is there any other damage to your car? I haven't had it happen, but I've always steered far clear from aftermarket wheels until recently. What can you tell us about the brand and why you chose them? Yup, steering arm and the axle had to be replaced. Small damage to lower aero effects and that will probably need to be replaced. Last edited by parkingticket; 02-26-2019 at 05:37 PM. "We do not warranty impacts of any kind, wheels are not designed to be indestructible, there is no real way to determine how fast a car is going or how hard someone hit something, so if the wheels has a impact the warranty is voided, your welcome to send the wheel to us to inspect to see if we can determine if it has been impacted, if customer is not sure if he hit something, most wheel shops would be able to tell pretty quickly, he can send the wheel to us to determine if needed." Insurance company stated that if I found 3 assessments saying wheel was defective, they would contact the manufacturer to resolve it. Insurance assessor and Audi service have both stated that they thought the wheel was defective. Audi Service said they would write something up. Now to find two more. On my way tomorrow to the body shop! And no, I am not going to sent them the not "Indestructible" wheel. It's evidence. Last edited by parkingticket; 02-26-2019 at 05:50 PM. OP says "I look closer and notice 4 of the 5 lugs are out." Isn't that a huge clue that something went very wrong with the wheel install and that having unbalanced forces on the wheel will cause stress not designed for? 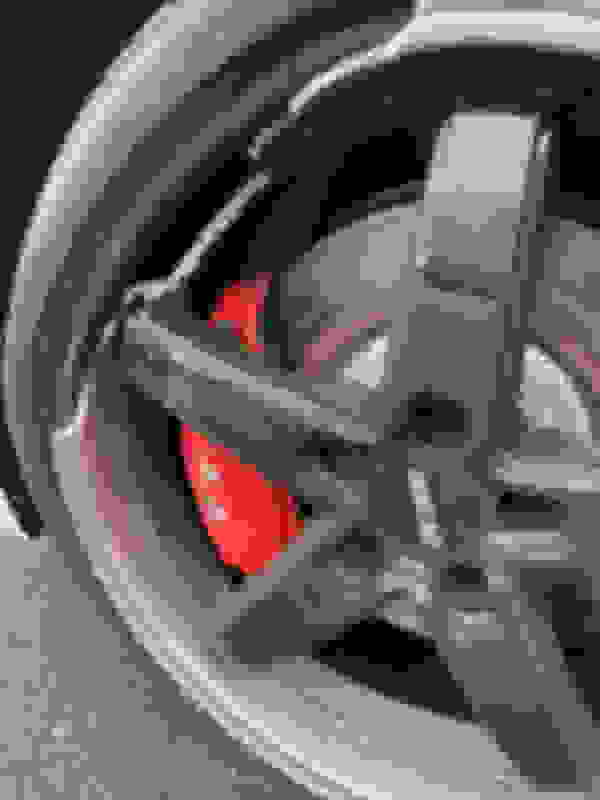 It is common for commercial tire shops to ask that the wheels be re-torqued after some miles. Who installed the wheel? Did the OP inform Audi of the history? I cannot imagine driving with only 1 lug nut and not noticing that something is drastically wrong. Is the post possibly a spoof? You left out some key pieces of information that I had mentioned. I drove a few blocks. Adding to this my speed was under 20. The other thing I stated was that all four lug nuts were found where I had parked right next to each other. It was an attempted theft. The wheels were installed by a shop. Also, it’s possible for a wheel to stay on with one lug nut. There is a small indentation for centering the wheel that forms a small lip. The wheel just wobbled slightly and I thought at first I had a flat. Audi Service stated they believed the wheel was defective. So two more places to go. Last edited by parkingticket; 02-27-2019 at 01:55 PM. OK, I could have paid more attention to your post, but I don't have facts only speculations. So Phillip Marlowe hat on, I see you left out a key bit about the the attempted theft. Driving on a wheel secured by only one lug nut will almost surely cause damage as it has turned out. Yet you still claim that one nut should be OK even though you sensed strange behaviour and then the wheel broke. You blame tthe wheel vendor, publicize his name but accept no responsibility. Could it be malice? You claim extensive damage to drive/steering, so presumably a front wheel. Did it come off totally or partly? Your picture shows the wheel still attached and that is a puzzle considering the damage you claim. Let me preface this with the position that I am not an assessor or mechanic. I am just sharing my experience and I am telling the truth. A few techs have already mentioned to me that the wheel was defective. Was there damage to the wheel from the attempted theft? Well, I can tell you that the wobbling was no more than you would experience from getting a flat. I went no more than 2 blocks travelling under 20. So do we replace a wheel if you get a flat wobbly tire? My guess is no. I had Audi service check for damage and they rebalanced the wheel. The amount of damage was surprising. After I heard a loud bang, the car lurched to the left. Thank god I wasn't driving on the highway. The wheel has some scrapes on the side which I believe happened when I swiped the parked car. The officer found pieces of the wheel more than a car length away before where I had swiped the car. So what ever happened to the wheel was consistent with the bang I heard before swiping the other car. Let me know where I was being negligent and where my responsibility rested. I had not named the reseller, and didn't mention the manufacturer until someone asked me who the manufacturer was. Until I get more experts to say if it was defective or not, it wont be definitive. Certainly there is enough here to ask questions and have suspicions. Last edited by parkingticket; 02-28-2019 at 02:55 PM. Pic from my wheel changing nightmare yesterday.